If only eating veggies as a child was as easy as it is now! A whole lot of crying and tantrums could have been avoided. As a child, I absolutely hated peppers. There was nothing more disgusting and terrifying than eating a pepper. You know how most kids are petrified of clowns? (or at least they used to be…) Well, for me, it was fear of peppers. Completely irrational, totally real. 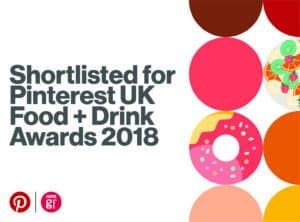 Luckily, as my mom always says, taste is changing with age. If she told me back then, that now I will be eating raw peppers, I would probably laugh like a mad person, then pass out. Me and peppers were like Walt and Gus, if we could, we would kill each other back then. But we’ve made up. And nobody got hurt in the process. This recipe must be one of the easiest things ever. 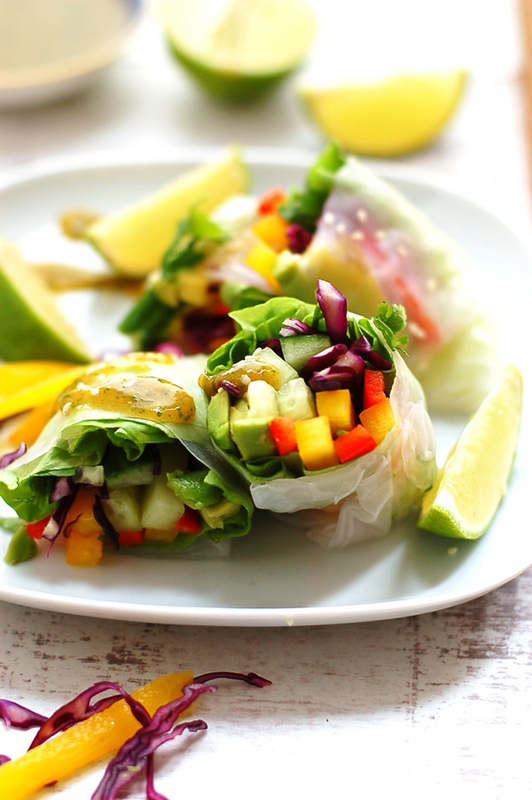 Super quick rice paper wraps, and fresh, raw veggies. Bish-bash-bosh. You can add dressing inside the rolls, or go crazy, skip it, and replace with any other dip of your choice. I couldn’t decide between dressings, so I made two. One is sweet and spicy, the other is refreshing and milder in taste. 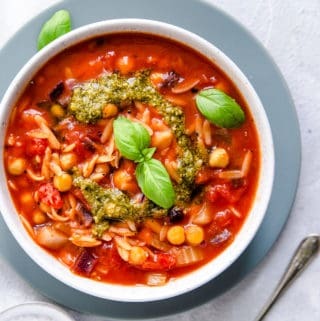 Both are awesome and super easy and quick to make. 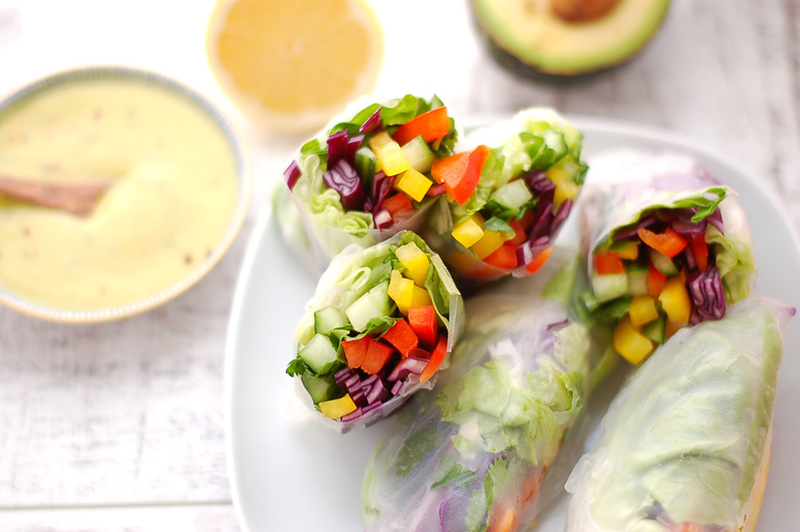 These rolls are light, fresh, and super tasty. 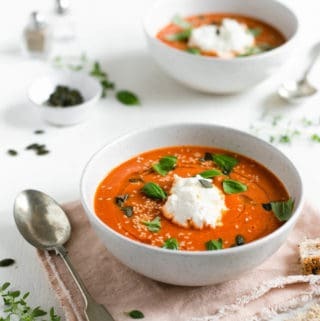 You can fill them up with any vegetables you fancy (you don’t have to use peppers, it’s OK not to like peppers, but at least give them a chance), and you can be sure you are getting the best out of these fresh, juicy and super crunchy veggies. Happy munching peeps! 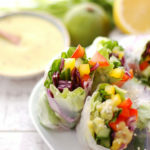 Super nourishing vegetable rolls with two different dressings options. Great, quick and healthy snack for the whole family! 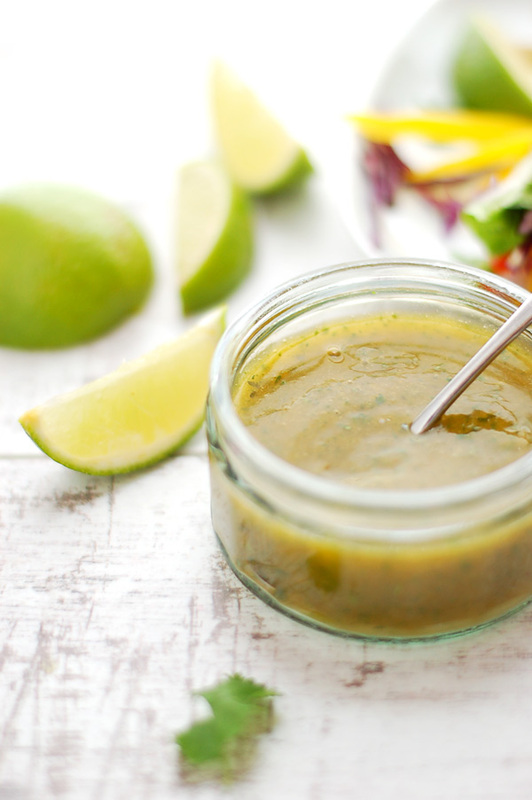 Blend all the ingredients together until smooth apart from coriander and mint. Add coriander and mint and pulse until just chopped. Blend all the ingredients together until smooth apart from coriander. Add coriander and pulse until just chopped. 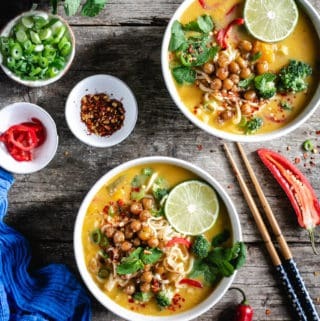 Place each rice paper into a shallow dish with warm water for about 10 seconds, then move it into a flat surface lined up with damp kitchen towel. Sprinkle the veggies with salt and pepper. Fold both ends to the center and roll the sheet as tightly as you can without ripping. Repeat with the rest f rice paper wraps until you use all the ingredients. 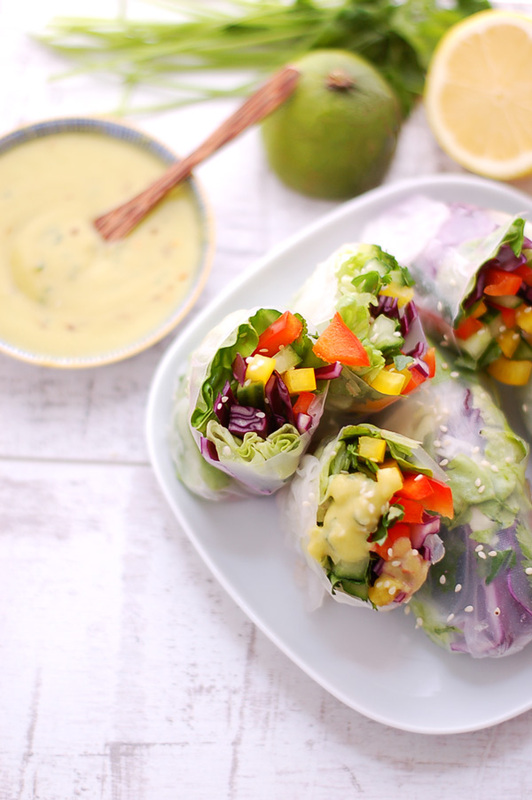 Serve the spring rolls with lime and coconut dressing and sprinkle with sesame seeds. I can’t wait for your cookbook ?. Hah! That made me smile! ? If that everrrr happen, you will get the first copy! ? and thank you gorgeous! ? Me and raw peppers still actually aren’t on the best of terms, but I can’t think of a better way to bring us closer than delicious spring rolls! Probably my favorite way to get in the veggies 🙂 And both those dressings sound wonderful! 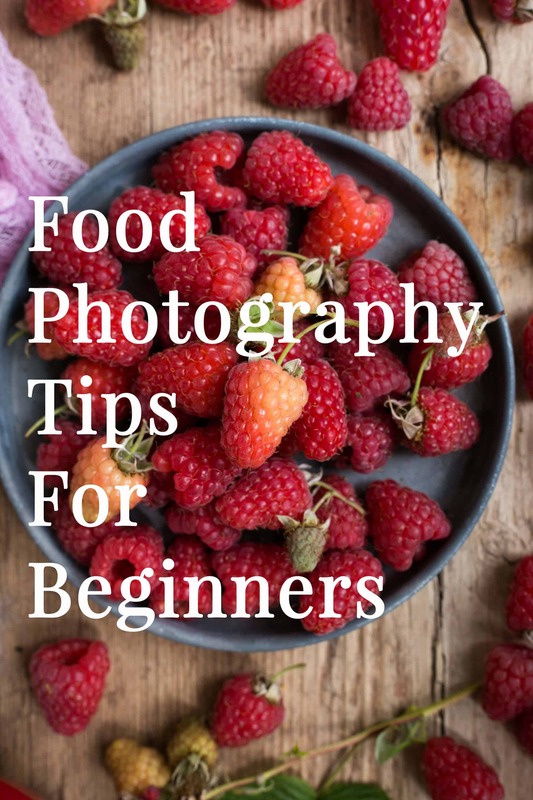 Your food photography is so amazing, Ania! <3 We need to have a collaboration so I can see how you do it! Aimee, thank you so so so much! It makes me happy that you like it! And I’m more than happy to show you some tricks and tips ? ?